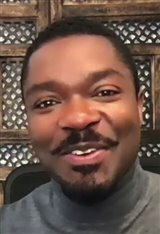 Born on April 1, 1976 in Oxford, Oxfordshire, England, David Oyelowo is of Nigerian descent. He graduated from the London Academy of Music and Dramatic Art (LAMDA), where he finished with honors, receiving the title of “Scholarship for Excellence” from Nicholas Hytner, Director of London’s National Theatre, in 1998. As a highly-respected actor in theatre, David’s best known role was his performance in 2000 as King Henry VI in the Royal Shakespeare Company’s productions of Shakespeare’s trilogy of plays about the king. David was the first black actor to play an English king in a major Shakespeare production, and although the casting choice was initially criticized by some in the media, David’s performance was acclaimed and he was even awarded the Ian Charleson Award that same year. David then went on to star in two HBO productions: Kenneth Branagh’s As You Like It in 2006 and then the lead in the mini-series Five Days, for which David won the Satellite Award for Best Actor in a Mini-Series or Motion Picture Made for Television. To top it off, in 2006 he also starred in the critically-acclaimed feature film The Last Kind of Scotland about the brutal Ugandan dictator Idi Amin in the 1970s. David has continued to enjoy a steady rise to the top on the big screen. In 2012, he appeared in Red Tails , which tells the story of the Tuskegee Airmen who fought in WWII. He also stars in Jack Reacher alongside Tom Cruise; The Paperboy with Nicole Kidman, Matthew McConaughey and Zac Efron; and in Steven Spielberg’s Lincoln with Daniel Day-Lewis and Joseph Gordon-Levitt. He starred alongside Forest Whitaker and Oprah Winfrey in Lee Daniels' The Butler (2013). He also landed a role in Interstellar (2014) alongside Matthew McConaughey, Nina (2016) starring Zoe Saldana, followed by Queen of Katwe (2016) alongside Lupita Nyong'o and newcomer Madina Nalwanga, and A United Kingdom (2017) opposite Rosamund Pike. Most recently, he starred in the comedy Gringo (2018), playing a hapless office worker sent to Mexico on a business assignment, where things go very wrong. David is happily married to actress Jessica Oyelowo, with whom he has four children.